In this post, I would like to introduce the concept of co-trading. 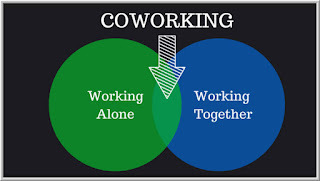 Co-trading is the collaboration of independent, curated traders within a coworking environment. First off, co-trading features true collaboration. That means the sharing of ideas and resources, as well as coordinated work on personal and professional development. Within a co-trading environment, collaboration can include mentoring, coaching, research, brainstorming, performance review--all of the functions that traditionally occur within a large trading firm, such as a hedge fund. The members of co-trading teams, however, are independent traders. They affiliate based upon shared values, interests, and experience. Unlike a hedge fund, co-traders trade their own capital, retain their earnings, and bear the brunt of their losses. What is shared is intellectual capital and the benefits of operating within a community. This works best when the co-working community is curated: carefully selected to ensure that the commitments and benefits are mutual. All of this occurs within a coworking environment. 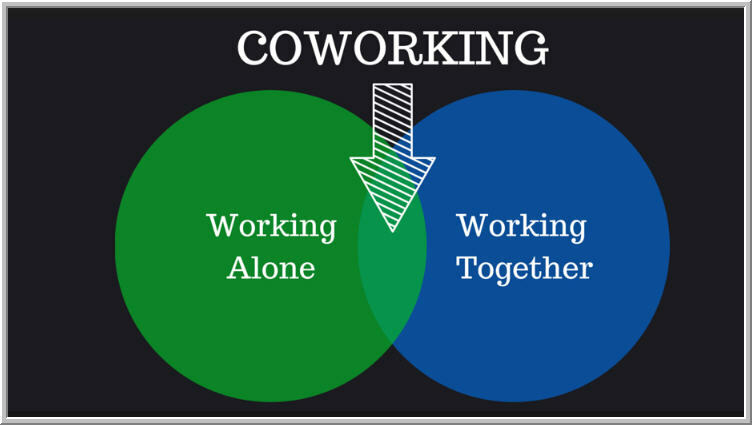 Coworking is well known among professionals involved in startups. Sharing a work environment with others who are passionately committed to what they do creates and sustains a high level of energy. Networking among talented professionals generates learning and growth. Surveys find that people thrive in coworking settings: they are more engaged in what they do and happier in their workplaces. For a single membership fee, coworkers enjoy everything from comfortable lounge, cafe, and meeting space to shared technology and the flexibility to work individually or within teams. To be sure, co-trading has occurred in other settings. Traders have affiliated in online chat rooms and groups for years. So-called arcades have been trading firms that offer workspace and technology to traders who rent desk space. Co-trading is different in that traders are physically located in their work areas with other traders, but also potentially connected via videoconferencing with other co-trading pods at other locations. The co-trader has the opportunity to trade at multiple affiliated locations, while traveling across the country, for example. Perhaps most important of all, however, is that co-traders operate within larger shared office spaces with professionals from other fields. Across the aisle could be professionals starting up businesses and developing apps, as well as people engaged in fields as diverse as journalism and business consulting. In a recent trip to a coworking space in New York, I met with an insightful professional mountain climber who conducts personal development hikes for his clients. I would never encounter such a person in my normal daily, office-based routine. These are people who can expand each others' horizons. If I belong to the coworking space in Connecticut, I can choose to work in the affiliated New York or Chicago office. I can connect with my team with high speed videoconferencing, and I can participate in a new team. The coworking space is available 24/7, which means that I always have a home away from home, free of the distractions of home. In my co-trading site, I can attend online education events with members of my team and collaborate on implementing what we've learned. That turns trader education into true continuing education for professionals. Of course, co-trading won't be for everyone. Beginners in financial markets will benefit from joining firms that offer high quality training. Experienced traders who rely on proprietary technology, teamwork, and capital will want to retain the benefits unique to a proprietary trading firm or hedge fund. Co-trading will most benefit experienced traders looking to maximize their independence, while simultaneously maximizing their access to other experienced peers. This coming week, I will be exploring coworking spaces for traders. My sense is that this could be a dynamic way of blending the benefits of teamwork with the advantages of independence.